La Salle Academy is dedicated to providing a Christ-Centered Academic Education for every child. La Salle believes in the God-given dignity of all individuals. With Jesus as the example, students learn more about human dignity and respect for all life. Through dedicated teachers as role models, students learn to appreciate both similarities and differences in each other. 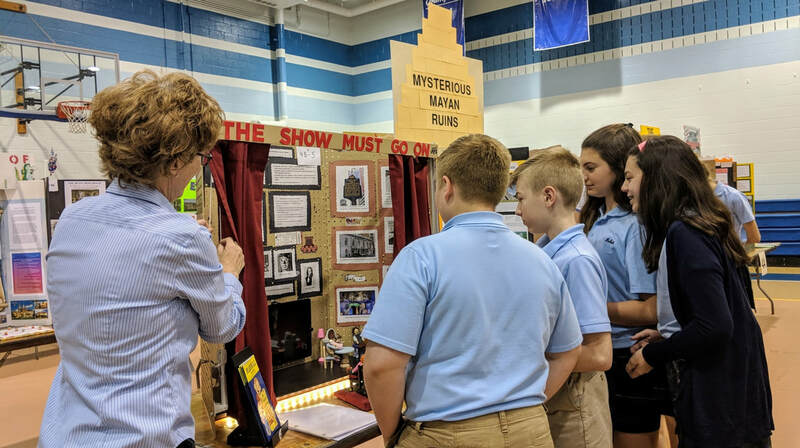 In addition, they learn more about the rich tradition of our Catholic faith and what it means to be a Christian.La Salle excels in a strong Christ centered academic program. La Salle students experience a variety of instructional activities, incorporating ongoing technology to enhanced learning. In addition, La Salle is academically competitive. In mathematics and technology, junior high students participate in Mathcounts which is held at Alvernia College, and the PA Middle Schools Computer Fair.